Is a Hair Transplant a Minimally Invasive Procedure? Losing your hair prematurely, whether you are a male or female, can be devastating. However, it happens quite often due to a genetic predisposition, hormone disorders, trauma, inflammation, or autoimmune disease. If you are suffering from hair loss consider the use of a hair transplant. Before you proceed, learn more about what to expect with this minimally invasive procedure at Metropolitan Vein and Aesthetic Center in Yonkers, NY. As a minimally invasive procedure you will not have to undergo a major surgery. Furthermore, you will not have to go under the scalpel or under general anesthesia to complete this transplant; meaning you will be able to return to your regular routine in a couple of days. Using the innovative NeoGraft Automated Hair Transplantation System, we complete the hair transplant to restore hair for our clients. 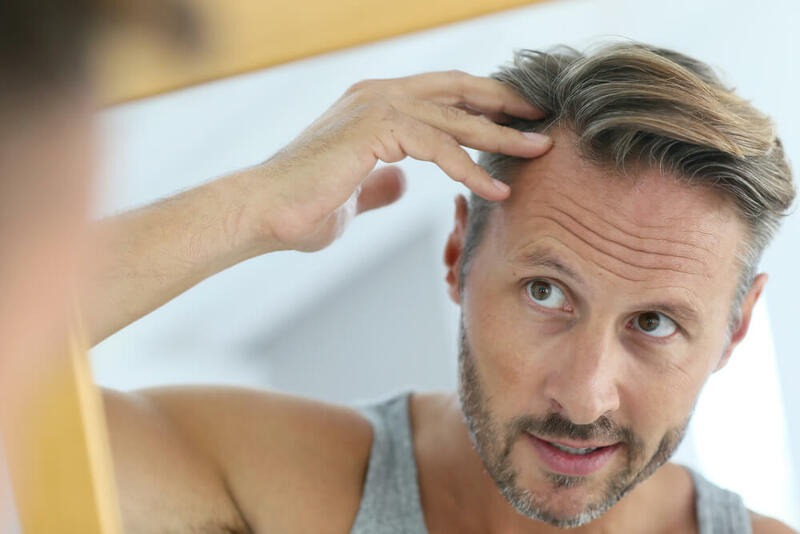 Unlike other techniques that require extensive surgical procedures, the use of NeoGraft ensures that you will not have a massive wound on your scalp after the procedure. In fact, you will not have stitches, staples, and scarring that is associated with other hair transplant methods. We use NeoGraft, which is FDA approved as a hair restoration treatment. It was the first minimally invasive procedure to get the seal of approval from the FDA in the US. Before you arrive at Metropolitan Vein and Aesthetic Center to complete your procedure, we will explore your hair transplant options and help you decide which is best for you. This further ensures your safety when getting a hair transplant. Keep in mind that men and women can use NeoGraft for a successful transplant process. Additionally, as it is a minimally invasive procedure, NeoGraft does not involve risk associated with surgical hair transplants involving anesthesia. You are also safer from risk of infection when using this method for your hair restoration. If you are ready to take the next step in getting a hair transplant we are here to help. For your convenience we have three locations in New York: Yonkers, Corona, and New York City. Give us a call at the Metropolitan Vein and Aesthetic Center at 914-295-2202. We will answer any questions, address any concerns, and set up your appointment for a hair transplant consultation. We look forward to assisting you!